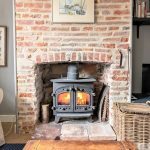 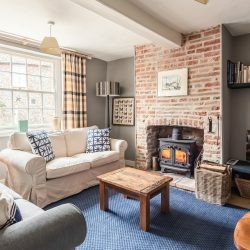 Magpies is a gorgeous, traditional cottage in the charming, coastal North Norfolk village of Stiffkey. 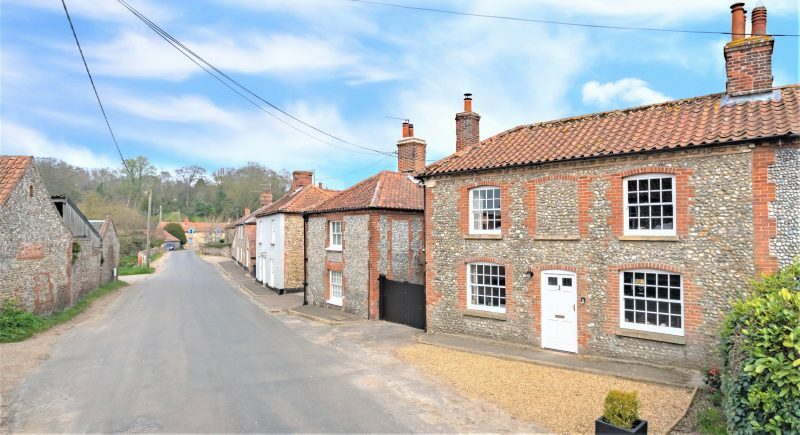 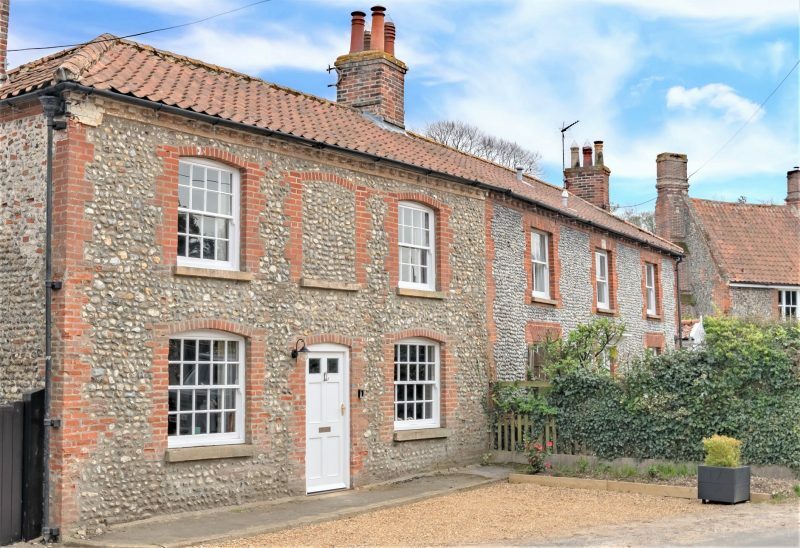 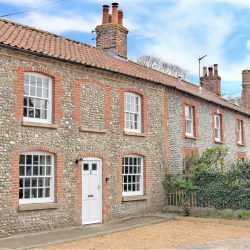 Nestled down a country lane in beautiful, quintessentially English countryside this cottage sits in a superb position for guests who are looking to explore all that Norfolk has to offer. 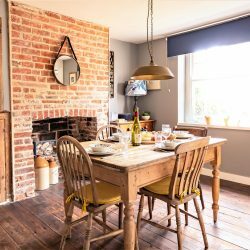 Its beautiful ‘Homes and Gardens’ interior is made up of an eclectic mixture of antique and more modern furniture set against the exposed original red bricks and stripped back woodwork. 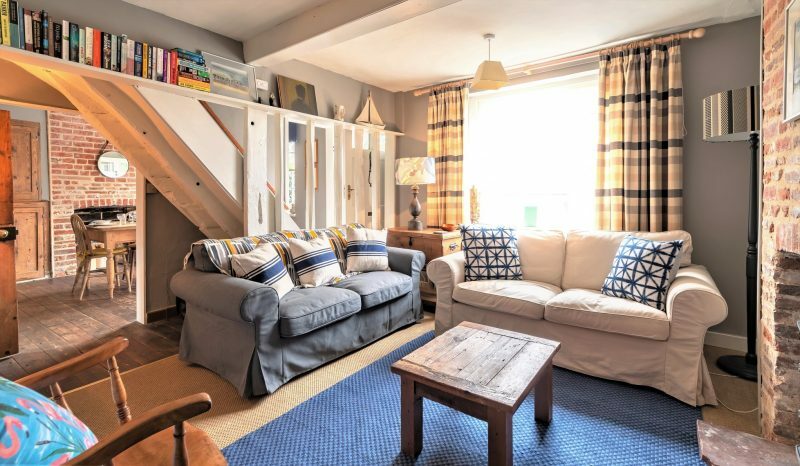 We love this charming home-away-from-home! 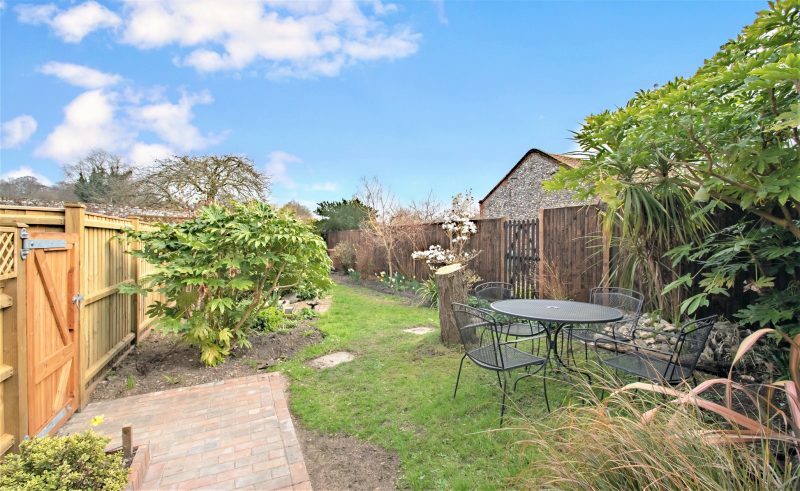 Magpies has a lovely private garden which is a real sun trap during the summer and ideal for al-fresco dining. 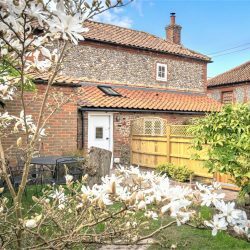 It also benefits from private off road parking for two cars making it perfect for a family of 4 plus up to two well behaved dogs who are looking for a quiet get away to the North Norfolk coast. 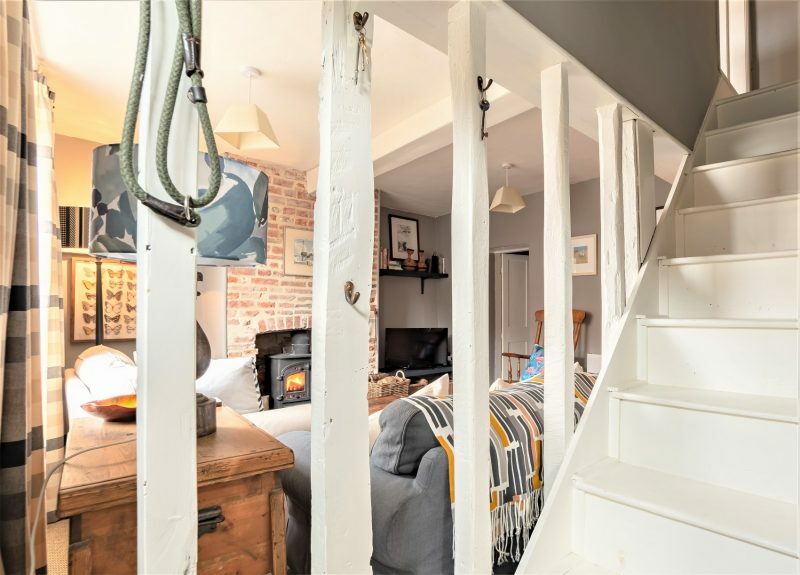 One enters the property in to a small entrance hall off which are the stairs and the dining room and which is part open to the sitting room, giving a peak through to the comfy cosiness that awaits! 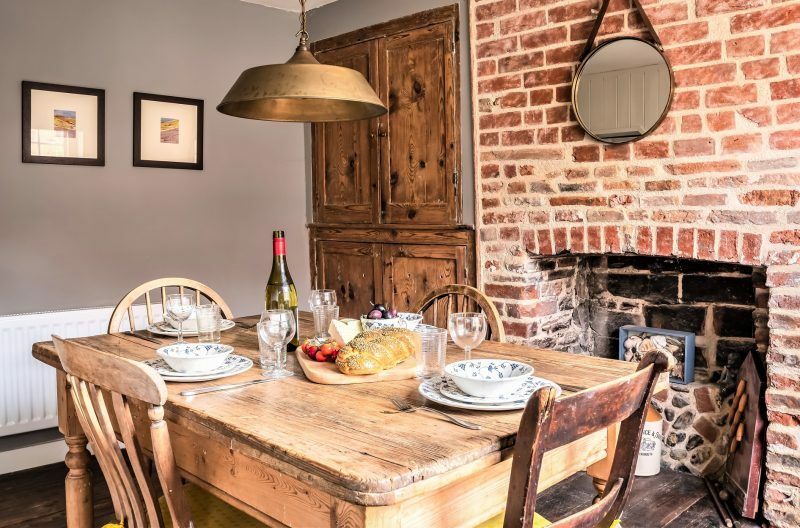 In the dining room you will find an antique pine dining table that can seat up to six. 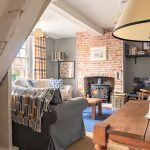 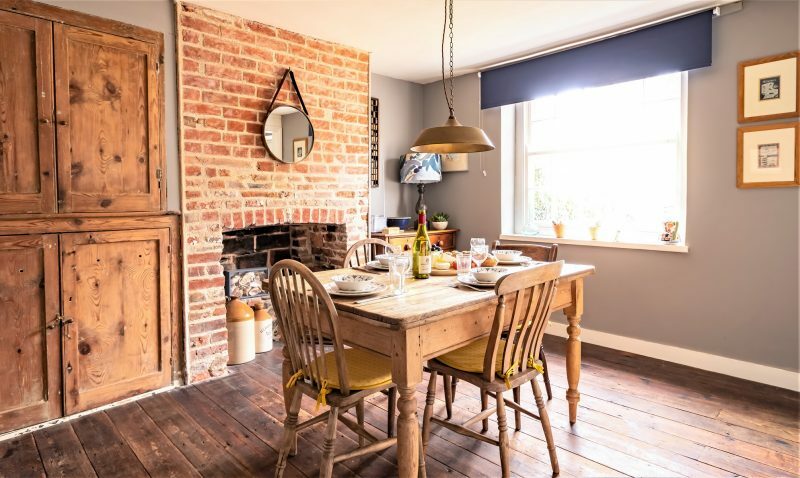 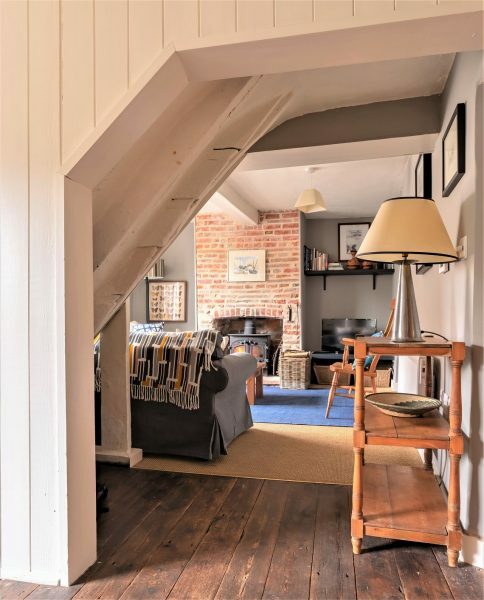 This area oozes cottage charm with its original exposed brick chimney breast, original floor boards and beautiful exposed woodwork and attractive decorative items. 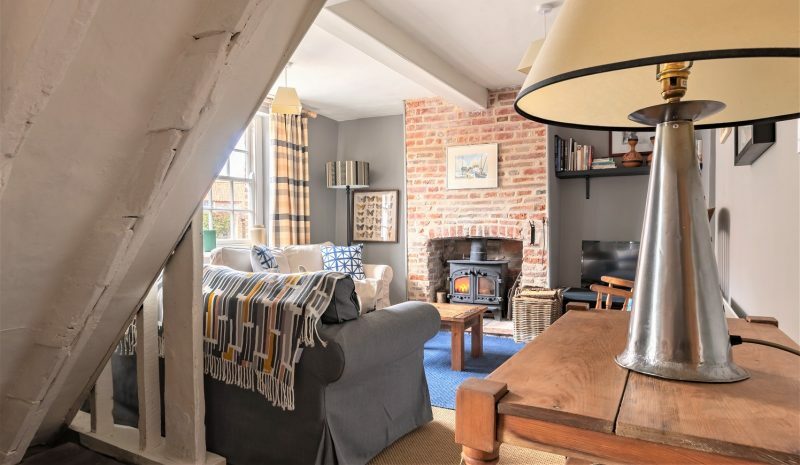 The sitting area which is linked to the dining area is wonderfully cosy with the focal point of the room being the lovely log burning stove. 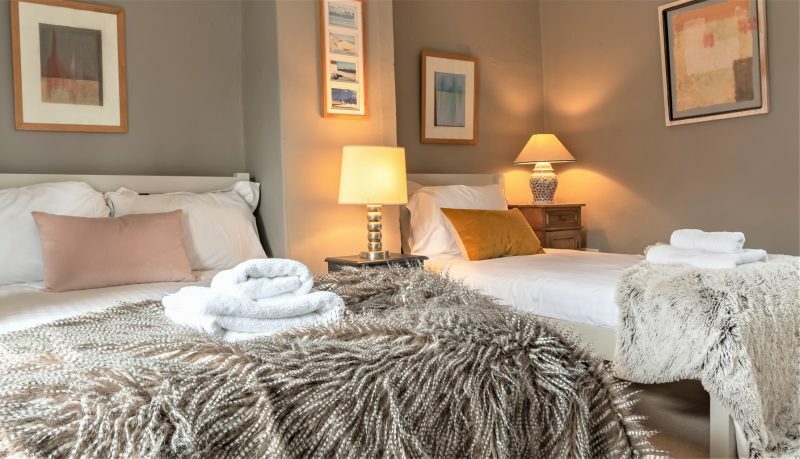 Beautifully furnished with comfy sofas and some antique wooden furniture and artwork, there is also a Freeview TV which is perfect for a cosy night in with a bottle of wine in-front of the roaring fire. 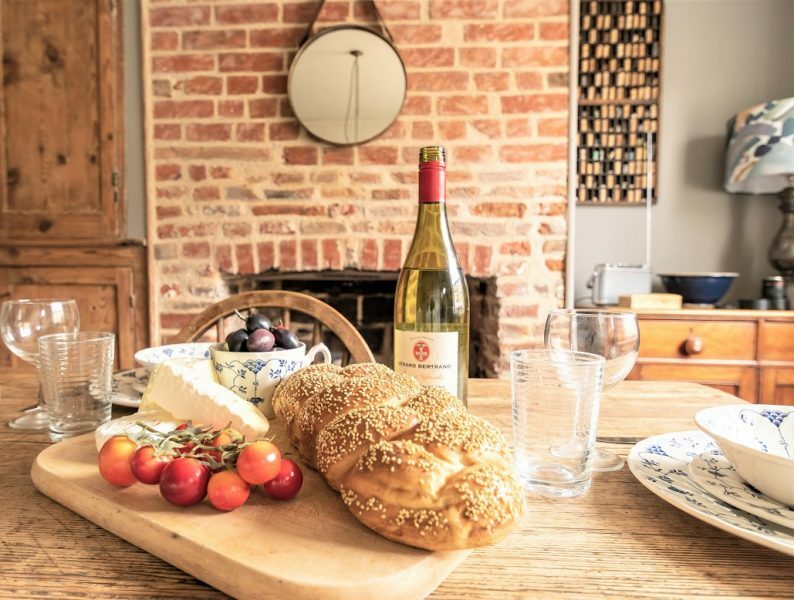 To add some diversity to your down-time, bookshelves contain an array of interesting books for your perusal and there is a bluetooth speaker system as well as free WIFI. 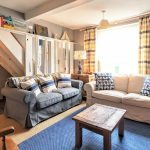 Of the sitting room is a small ‘utility’ area with a washing machine and the high end, newly fitted shower room with drencher shower. 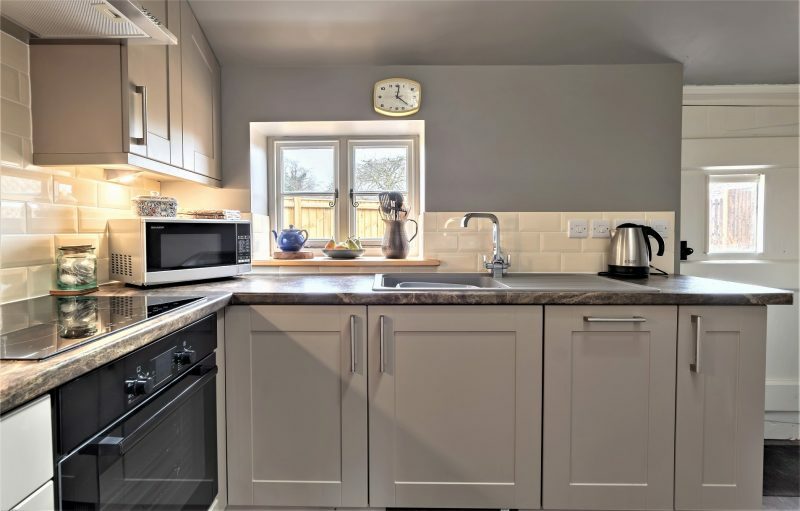 The kitchen has also been newly fitted and houses all of the mod cons you would expect integrated in and behind modern kitchen cabinets. 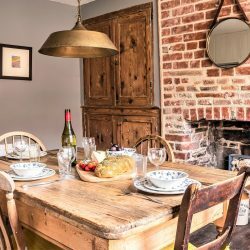 With a dishwasher, a fridge freezer, and microwave, this cottage has all the essential items to make your stay here as homely as possible. 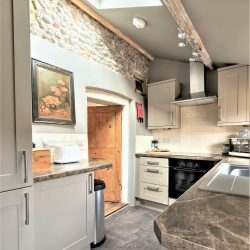 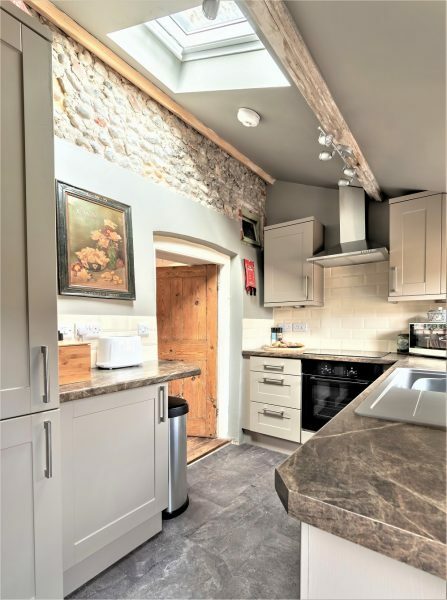 This kitchen is very well equipped, meaning guests can conjure up a marvellous treat using the fresh, local produce available in abundance in the nearby market towns and farm shops. 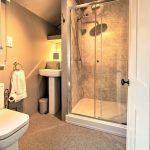 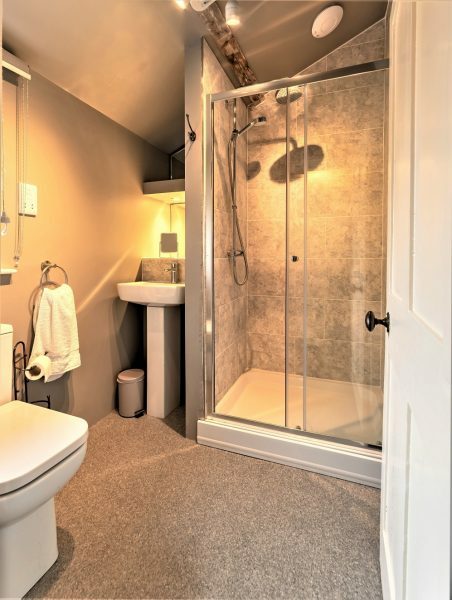 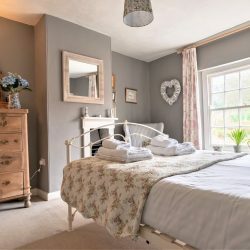 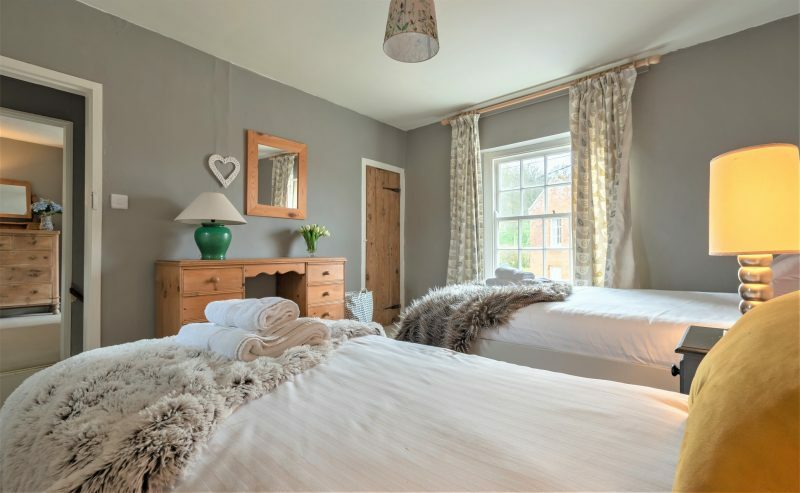 The charming cosy cottage feel continues upstairs with two really good sized bedrooms with very impressive dimensions for an old country cottage. 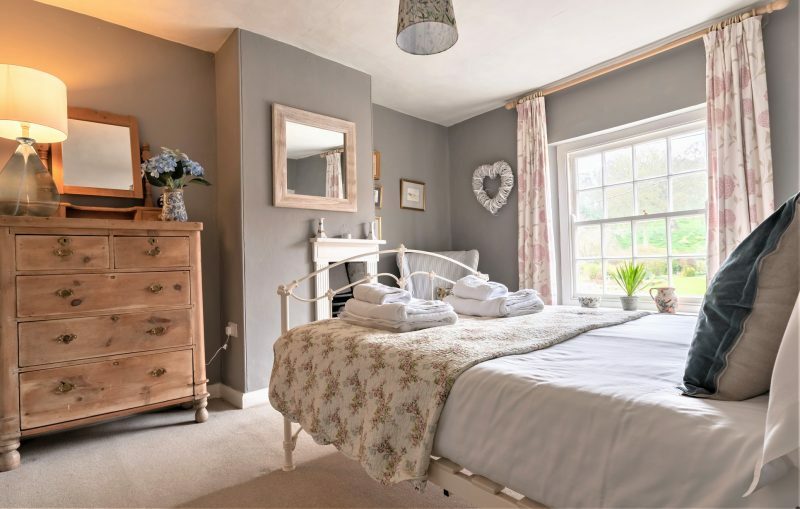 The ‘main’ bedroom has a metal framed double bed and some lovely antiques furnishing. 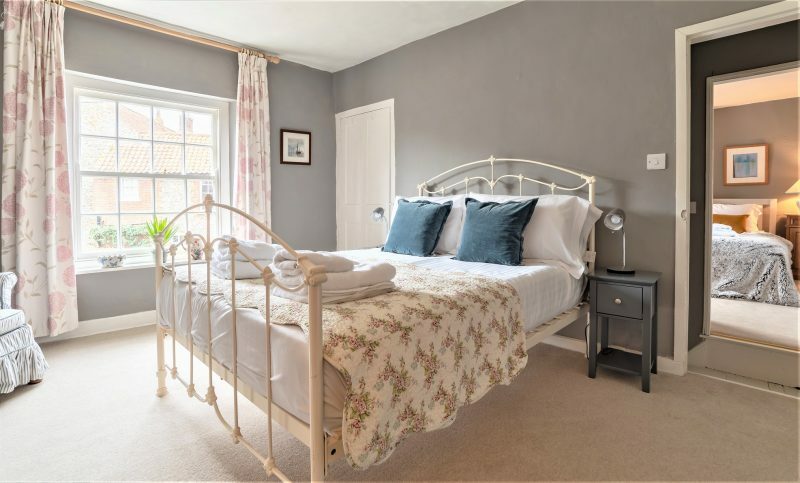 The second bedroom houses and small double (4ft) and a single so the house can technically sleep 5 if required. 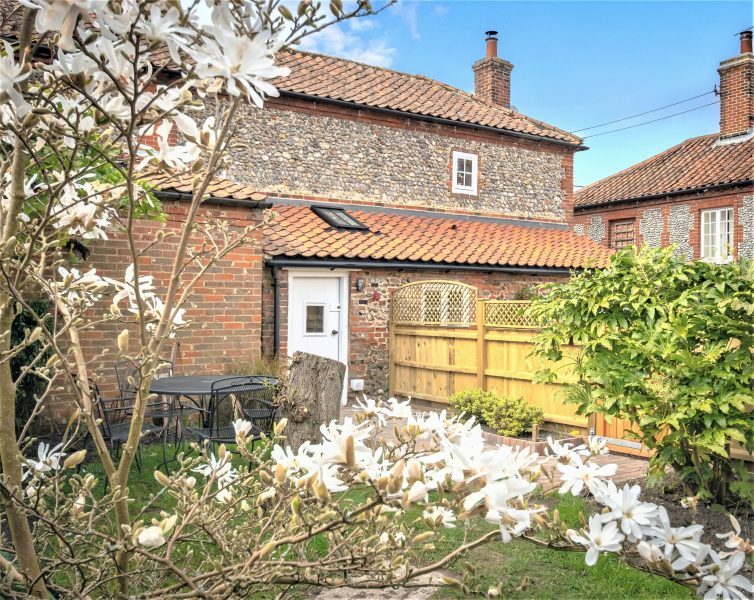 At the rear of the property is a pretty, enclosed cottage garden which is a real suntrap. 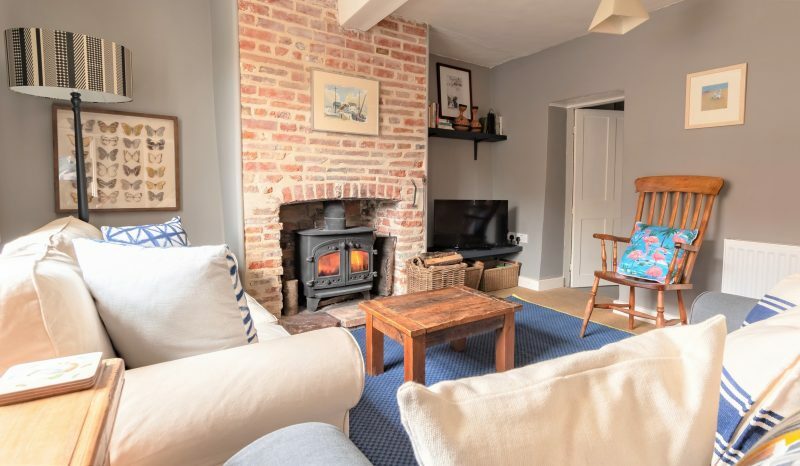 Stiffkey is a quiet and peaceful village, just a couple of minutes’ drive from the hustle and bustle of the archetypal coastal town Wells-next-the-Sea. 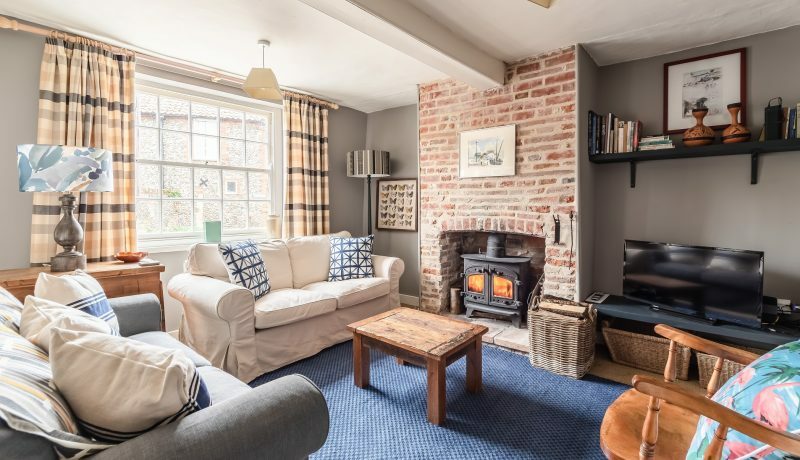 The cottage is within walking distance of The Red Lion pub and Stiffkey Stores, which is notorious for their excellent coffee and cake! 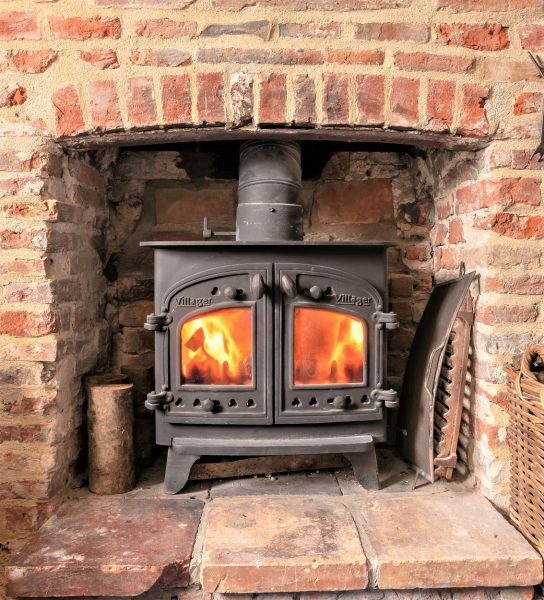 Stiffkey Salt Marshes and miles of golden beach can be accessed using footpath. 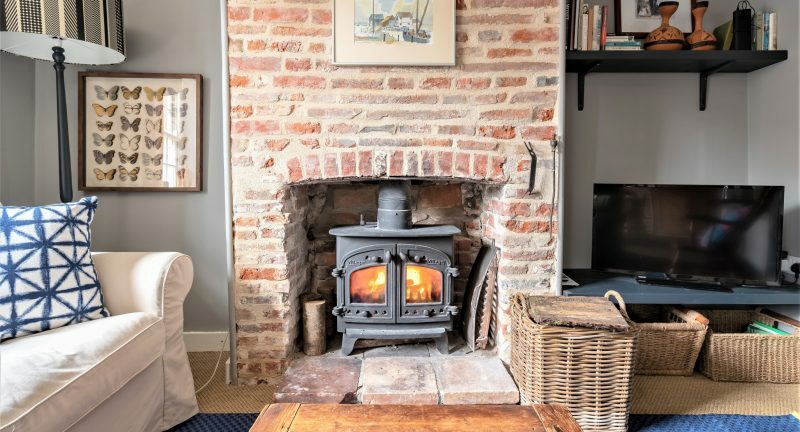 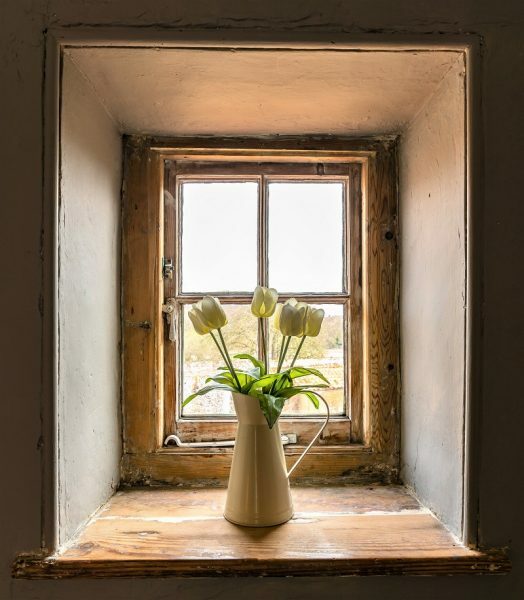 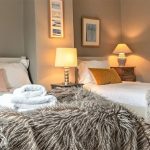 Magpies is such a beautiful cosy, coastal cottage, we have totally fallen for its seemingly infinite charm and character and are sure our discerning guests will as well. 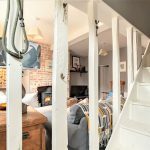 The owners of Magpies are happy to accept 2 well behaved dogs!